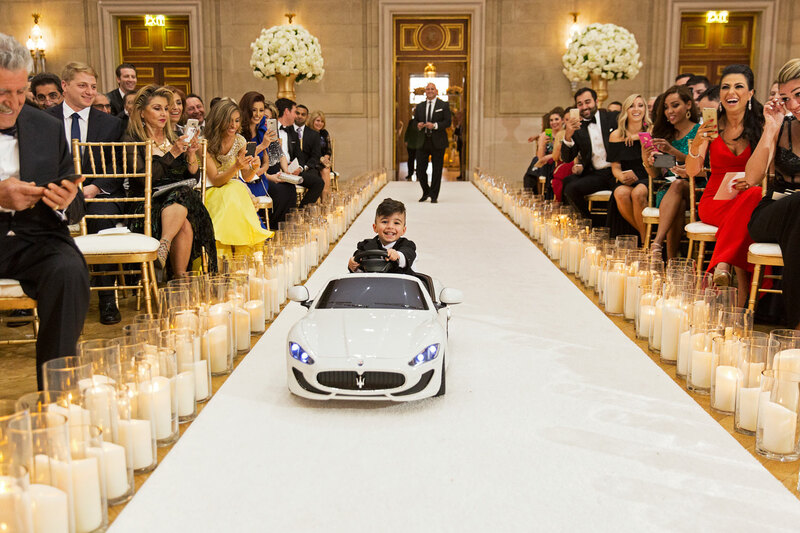 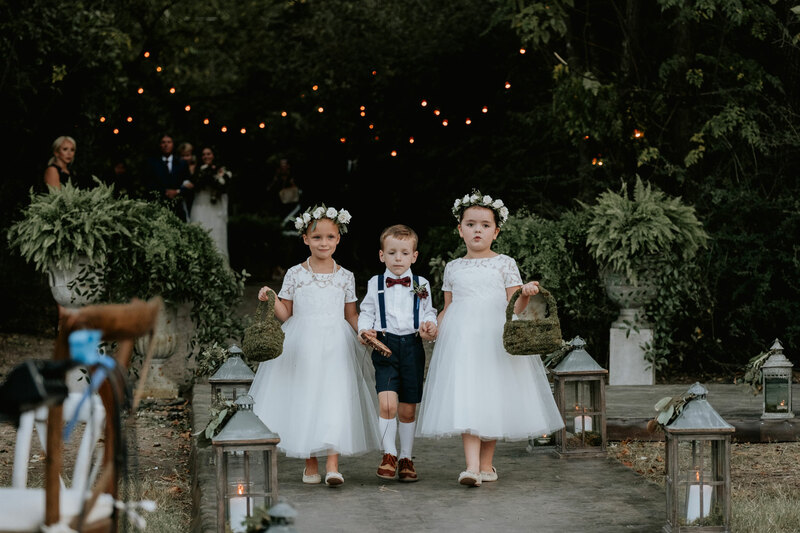 If you're choosing to partake in the tradition of having children attendants – more specifically, flower girls and ring bearers – at your wedding ceremony, you have one more thing to think about while planning your nuptials: what they'll wear. 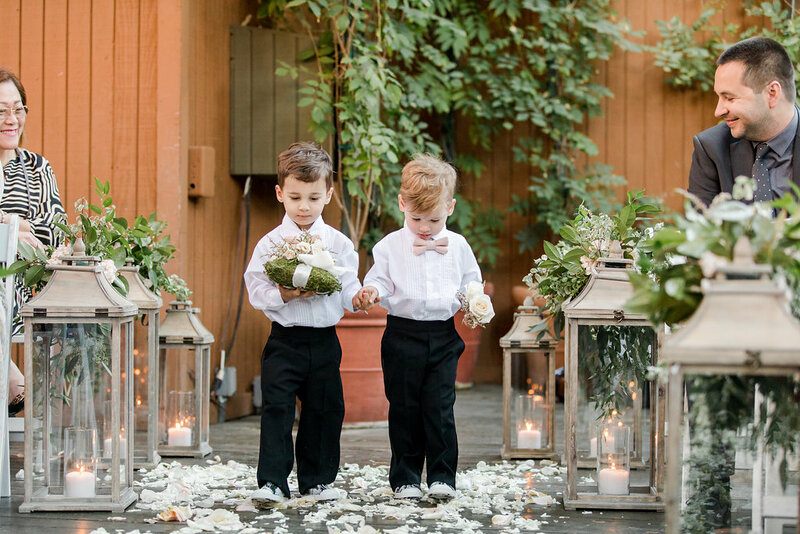 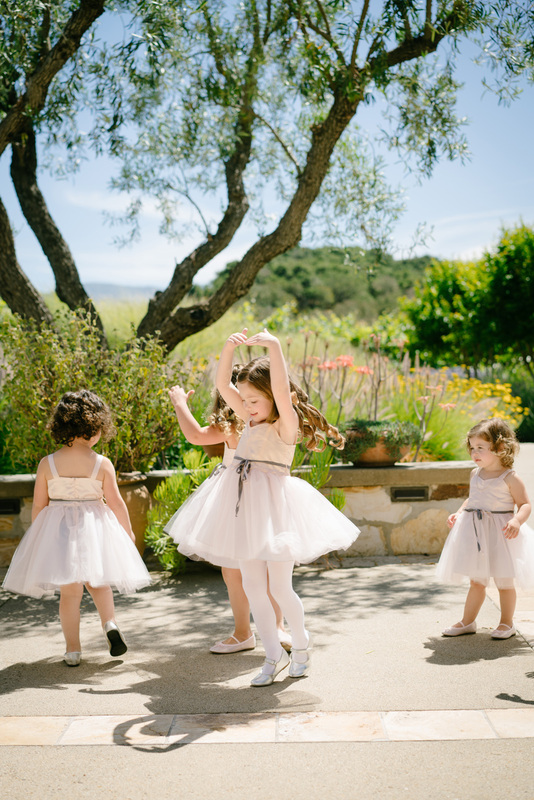 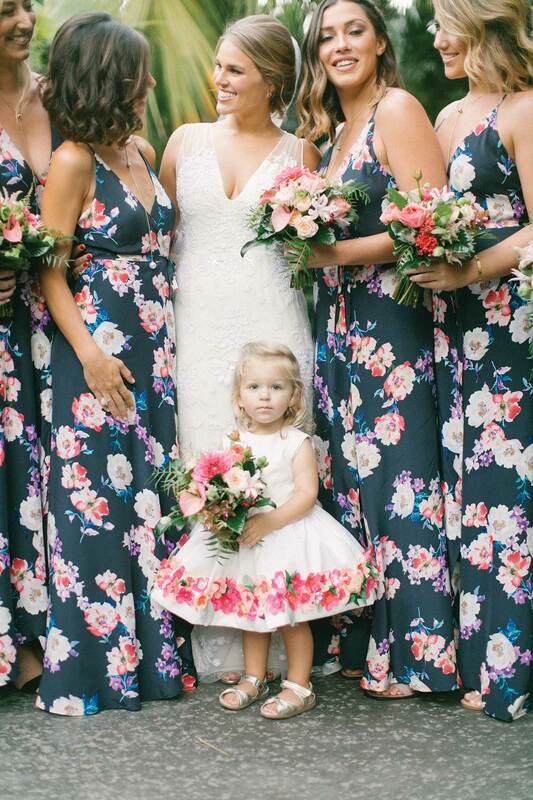 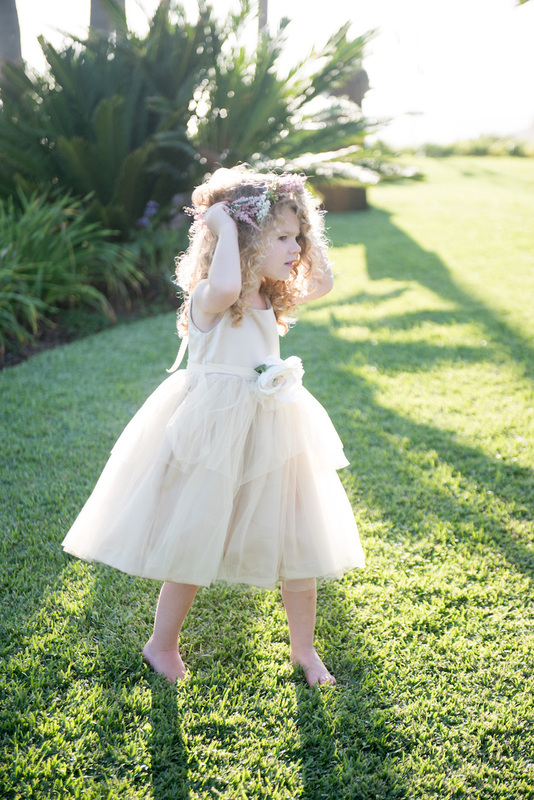 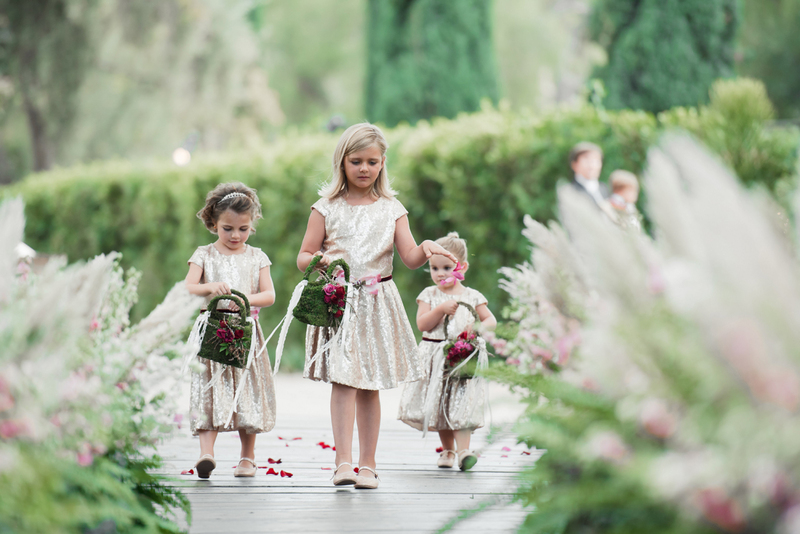 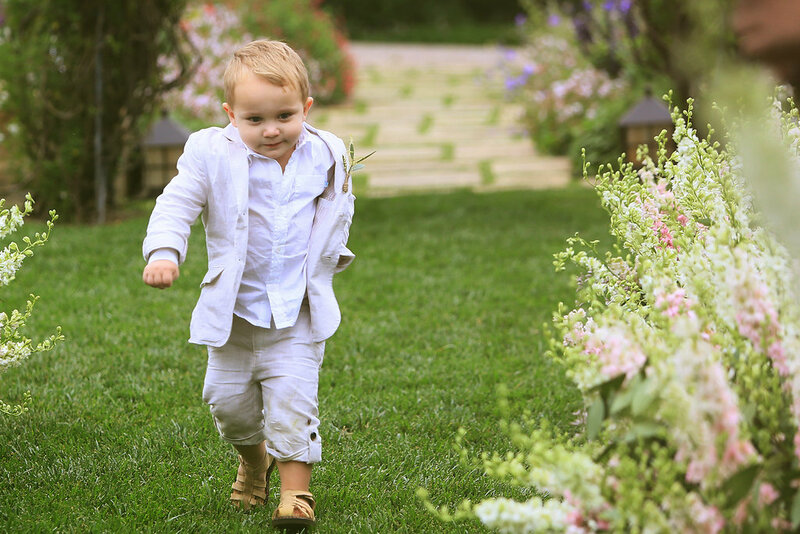 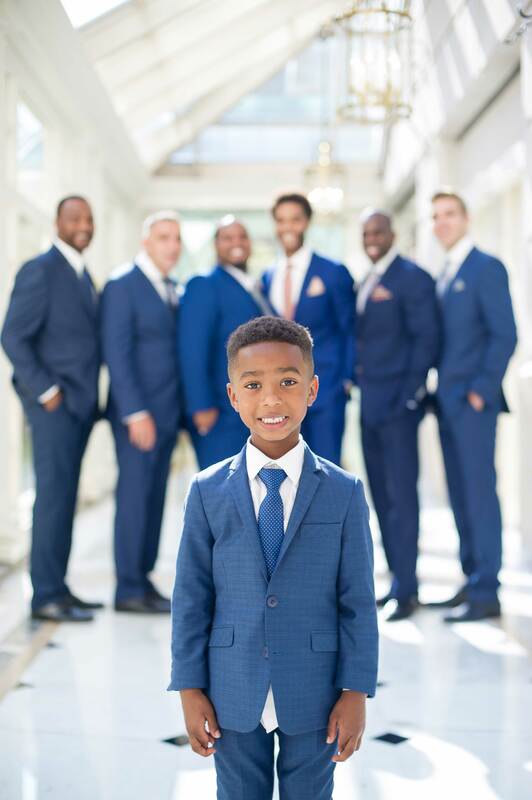 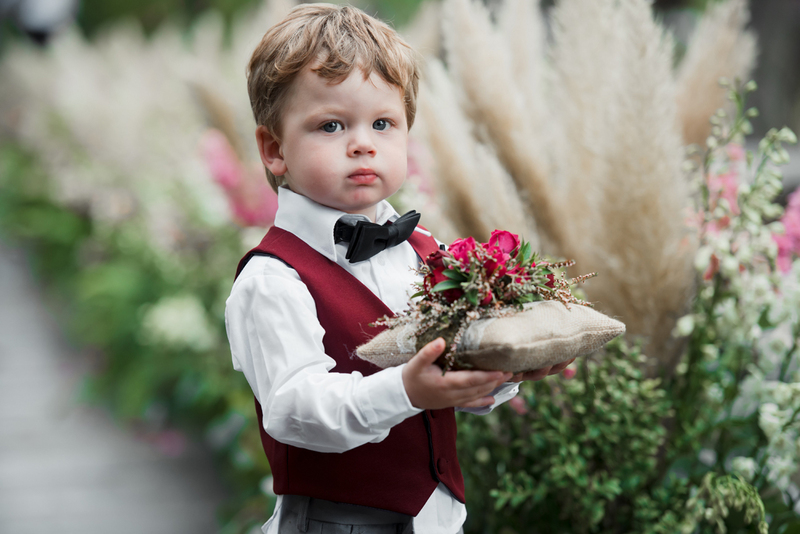 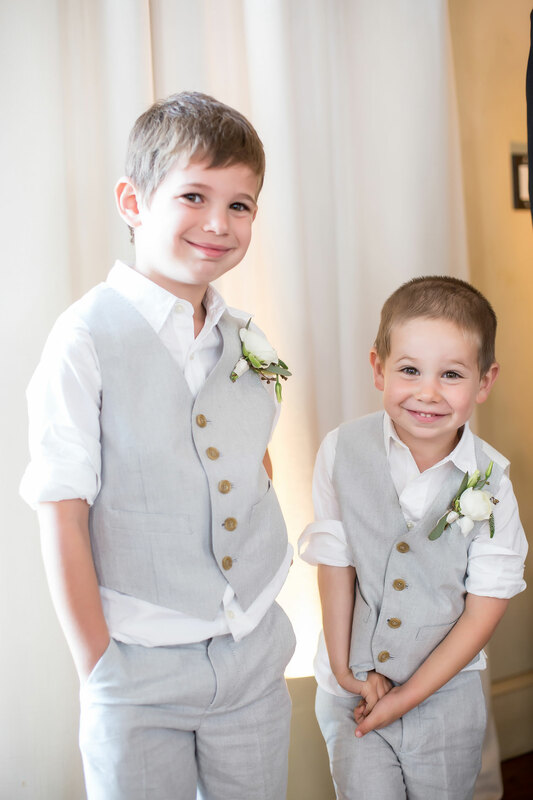 Flower girls typically don dresses in the white or ivory color family, while ring bearers wear small suits or tuxedos; however, there are plenty of other options if you choose to modernize the looks of the littlest members of your wedding party. 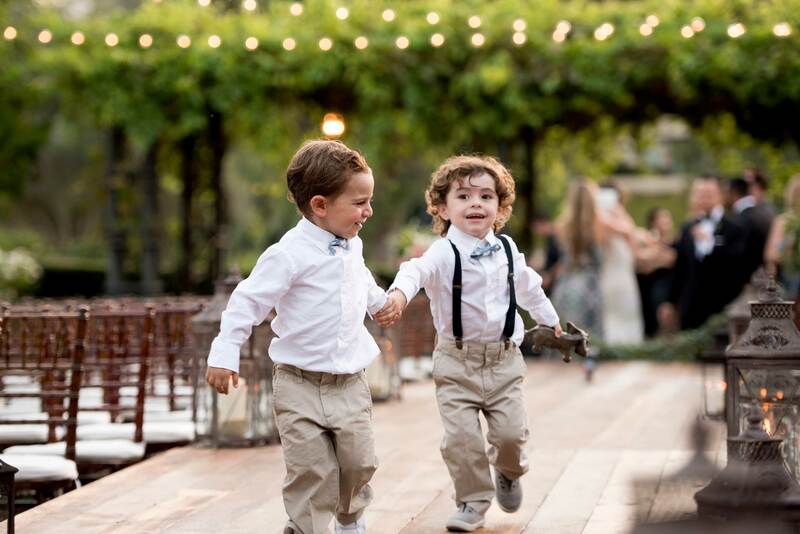 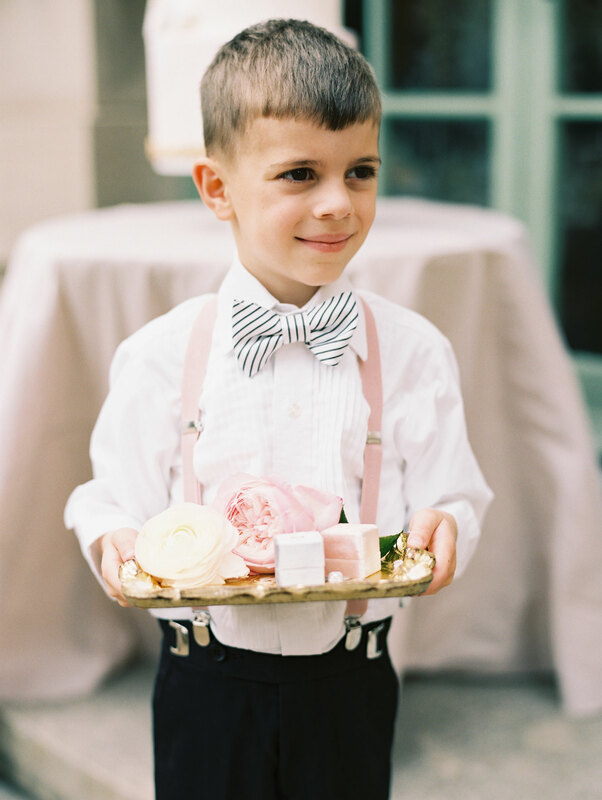 Many of today's couples choose to dress their flower girls in colorful frocks and ring bearers in more casual attire with suspenders and bow ties. 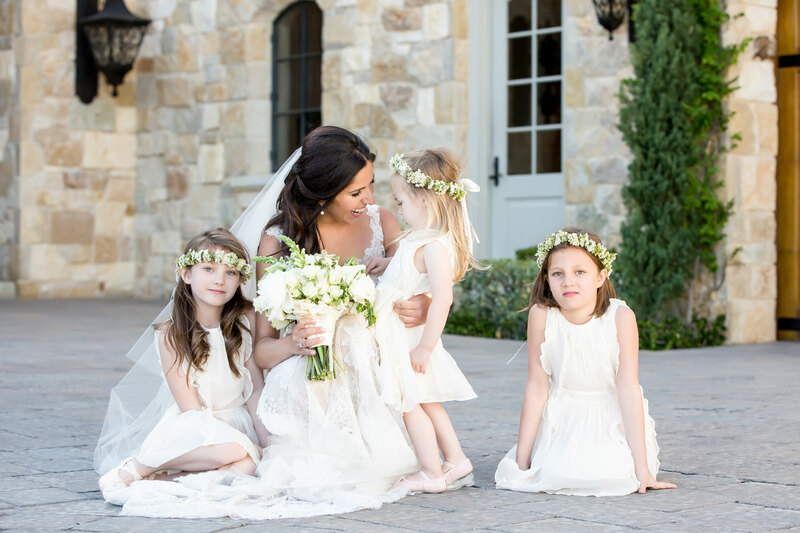 Flower girls often carry small nosegays, baskets filled with flower petals, or simply walk up the aisle accessorized with a flower crown and holding the hands of the other flower girls or ring bearers. 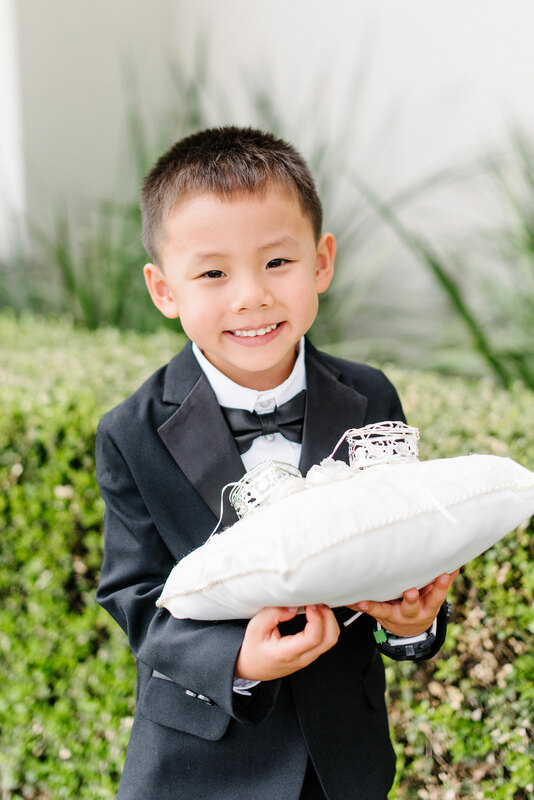 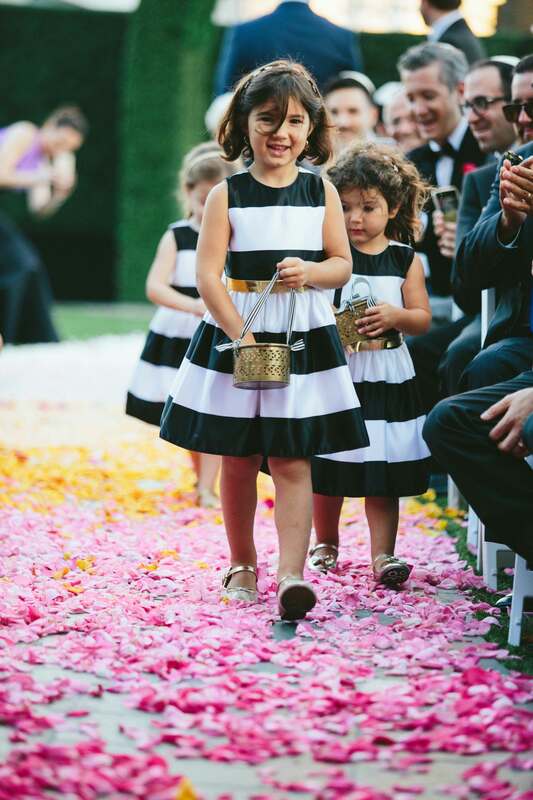 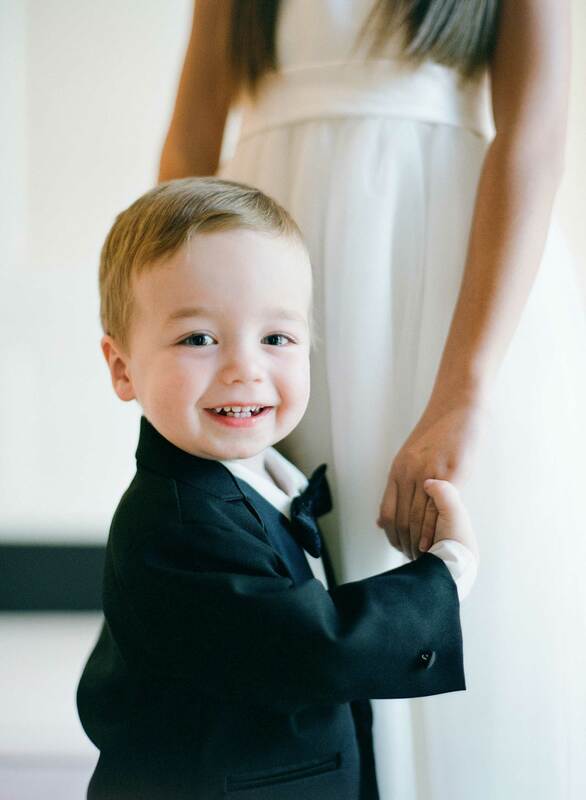 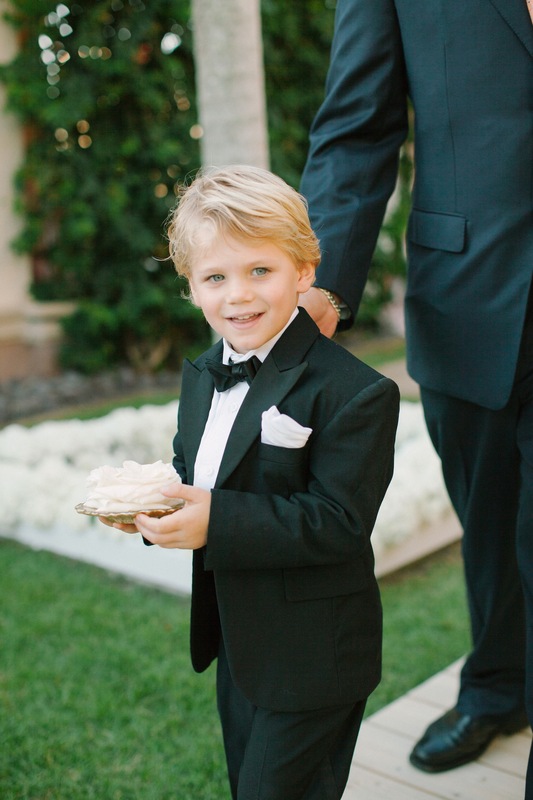 While older ring bearers often carry the wedding rings on a small ring pillow, others may be in charge of a "here comes the bride" sign or, once again, hold hands with the other young attendants. 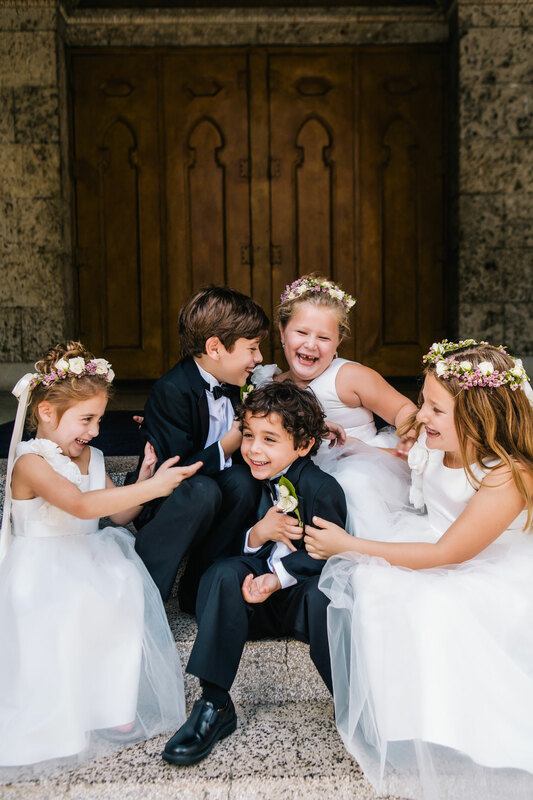 Regardless of what attire and duty you select for the kids in your bridal party, they're sure to add to the happiness of the day as well as look adorable in your wedding album. 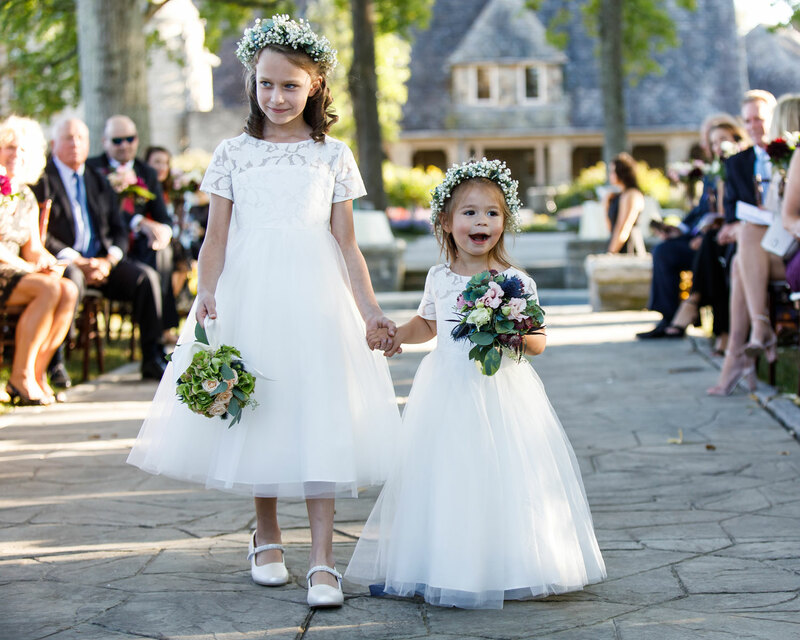 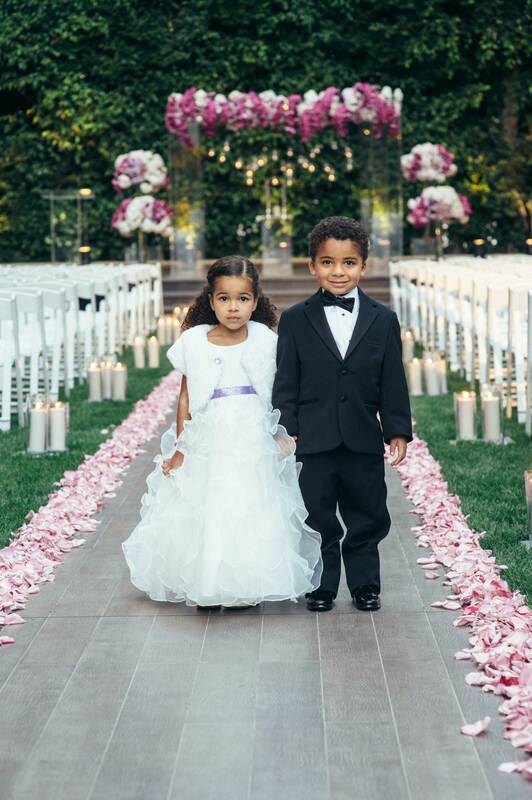 Take a look at 24 photos from real weddings featuring flower girls and ring bearers who are just too cute in order to gather inspiration for your own ceremony! 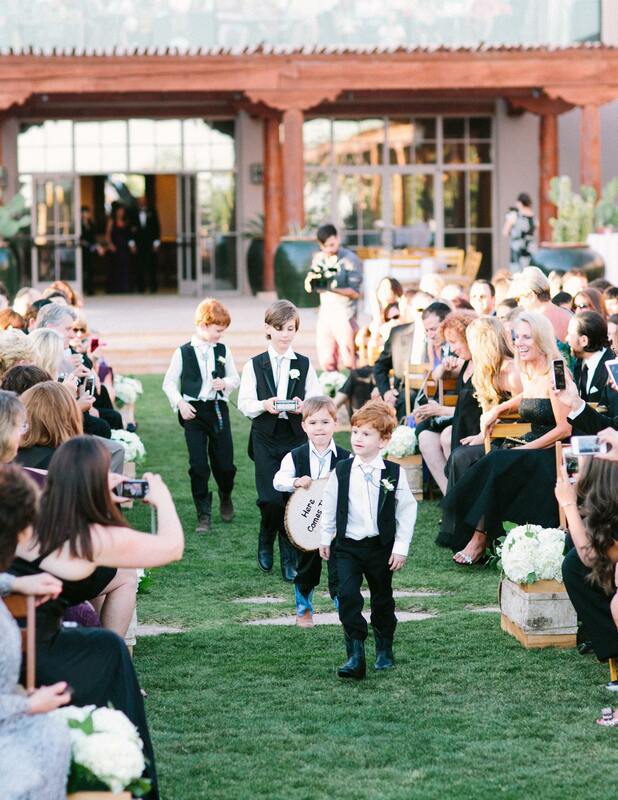 Click on your favorite photos to see more from these gorgeous events! 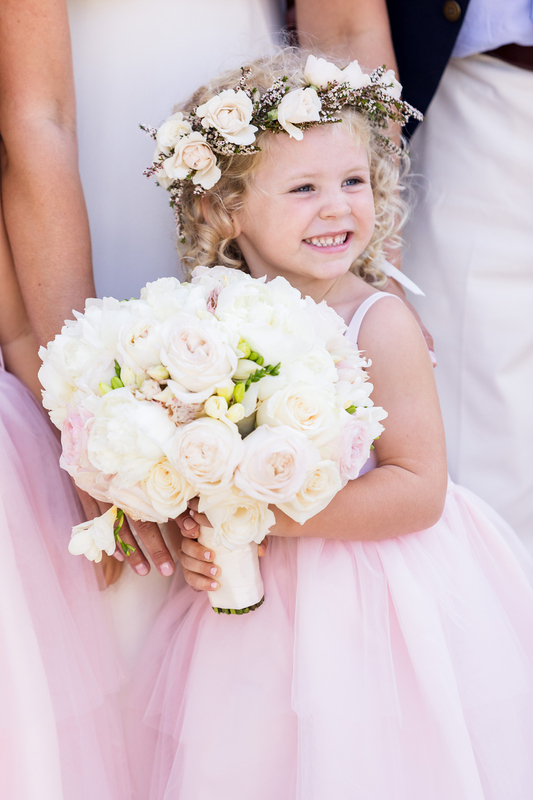 Photo by Joe Latter Photographer; Floral & Event Design by White Lilac Inc.
For more inspiration, find out unique duties for your flower girls and ring bearers, learn ways to keep kids entertained at your wedding, and discover 50 first dance song ideas from real brides and grooms.